If you’ve kept up with this blog for even a short while, I’m sure you can tell how much I love taking and sharing photos — especially those that capture family love, such as when breastfeeding. I’m often complimented on my photos (I’m shy so it means a lot to me — thank you! ), then asked for tips and advice on how to have a successful breastfeeding photoshoot. To be honest, I think every breastfeeding photoshoot is the epitome of perfection and a success, even if the nursling got distracted or wanted to jam tiny fingers up his mother’s nose. That’s just breastfeeding! Try to remember: the idea isn’t to compare your photos to the outcome of others’. YOU get to decide what “successful” means in this instance — how refreshing! I decided to let a professional handle some of the main concerns I hear a lot. 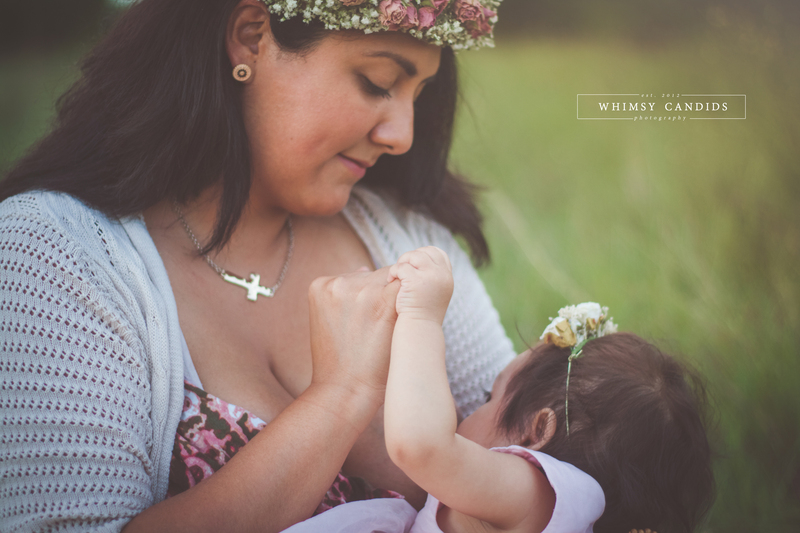 I interviewed Whimsy Candids Photography‘s Anel Lestage, a Houston-area family photographer and editing expert who specializes in breastfeeding portraits. Read on for what Anel suggests to optimize your nursing shoot experience! How did you get into breastfeeding photography? “While breastfeeding my first and second children, I became involved in breastfeeding support groups. I attended La Leche League meetups and other similar events. Then, secondary infertility hit us and I stopped going to the support group meetings since I was no longer breastfeeding. I began to put my free time toward photography to keep my mind off the infertility struggle. During this time I photographed a few breastfeeding moms here and there but it wasn’t my main focus. For five years we tried to conceive with no luck. When I finally got pregnant, it had been so long that I was afraid I had forgotten so I began some research and joined a few online support groups. In those five years while I was trying to conceive, a huge change had happened! Breastfeeding had become more mainstream and I was eager to be part of the revolution! By the time my third baby arrived, I had already begun to niche in baby photography so I was eager to be able to document every detail including breastfeeding. That August (last year) in honor of breastfeeding week, I took my camera, my tripod and my 3 month old nursling to a nearby field to get some breastfeeding portraits. The result was magical and I was hooked! 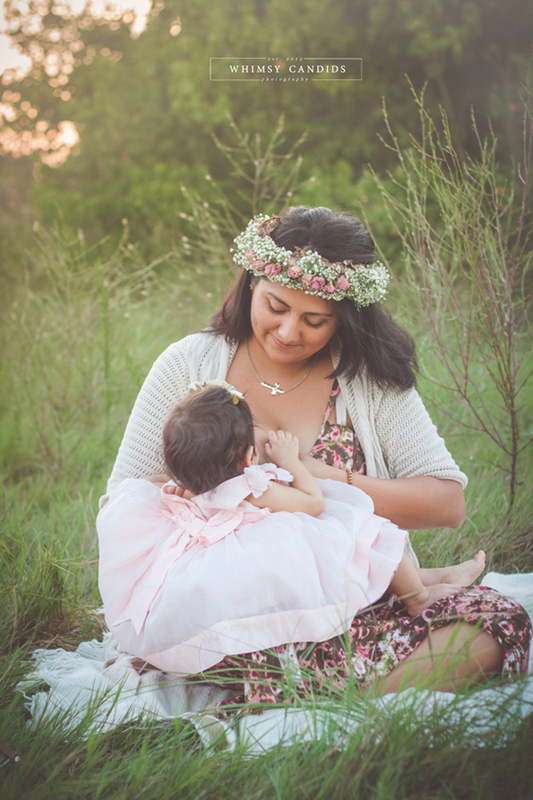 Why do you think mamas want breastfeeding portraits? What do they use them for, and why do you think it’s important? “I am still happily breastfeeding my third little nursling and can totally relate to the many reasons why mamas would want breastfeeding portraits. For many, breastfeeding in the beginning stages is a difficult uphill struggle; being able to capture their breastfeeding experience after overcoming their obstacles is a way of documenting their victory. They are no longer going uphill, they are now proudly standing at the top as breastfeeding champions. For other moms, a breastfeeding session marks the end of a chapter in their lives. Once they have decided that they will not be having any more children, documenting this special phase seems even more precious than ever. Every mom has different reasons for booking breastfeeding portraits, but I can assure you that every single one of them will sit there and look at those photographs over and over again because it evokes something within her. What are the main differences between professional breastfeeding photography and taking photos at home? What have you seen are the main worries of mothers in regard to breastfeeding portraits? How can they feel better about each of these concerns? What criteria should mothers look for in a breastfeeding photographer? What are some “red flags,” if any? Tell us about one of your favorite breastfeeding shoots so far. Have you needed to troubleshoot any “disaster” moments? How did it get resolved? “I don’t think I’ve ever had any real disaster moments, but children are all different and can be unpredictable. I always welcome a challenge though. I guess I could say that the challenge I face most is little ones who aren’t really all that interested in nursing. I’ve had children who are more interested in exploring my little studio space and discovering all the cool props I have. There have also been a few kiddos who would much rather play. In these cases, patience truly has been my best virtue. I never force the child to do anything they don’t want to. I follow their cues and wait until they are ready to nurse, even if it’s just for five minutes. When a mother’s packing her bag for the shoot, what are the must-have items? Anything to avoid in preparation or during the shoot? What should a mother inform her photographer about prior to the session, if anything? What type of clothing do you suggest mothers and their children wear? To avoid? What type of lighting is best and how can one achieve it, whether with a professional or at home? “I am a natural light photographer. Natural light can be harnessed and used for a photograph no matter the location. If you are inviting a photographer into your home for a photo session, you want to be sure that you provide enough natural light by selecting a room with large windows. For outdoor sessions, the best lighting occurs during the golden hour; this is typically the first hour of light after sunrise and the last hour of light before sunset. Avoid booking a session during midday; you will get harsh, unflattering direct sunlight. If taking your own photos outdoors, aim for the golden hour. When that is not possible and you absolutely have to snap a pic during midday; find open shade and then shoot away. Cloudy days are your friends when doing your own outdoor photos. How much time and money should one expect to invest in a good-quality, worthwhile professional photoshoot? How can a mother both stay frugal AND keep this experience affordable? “I always suggest that people take their time finding the right photographer for them. Carefully review their portfolio, their style, and technique. Don’t just look at prices, look for quality. Sadly, our industry is currently oversaturated with folks who claim to be photographers. There will always be someone who will claim to do it for less, but the difference in service as well as in their work and their editing is obvious. As with anything else in life, with photography you also get what you pay for. Before hiring the person down the street who can do it for $50, think about why you are hiring a photographer to begin with. What are you planning to do with those photos? Do you want to display them in your home? Do you want to be able to pull out those beautiful prints and hold them in your hand as you remember nursing your child like it was yesterday? How wonderful would it be to sit with your grandkids one day as you flip through a beautiful heirloom album and tell them all about their mom/dad when they were little? Connecting the older generations to the next, capturing a moment that sparks a memory of a youth once lived, stopping time just at the perfect moment and having it to reminisce upon time and again … that is the true investment of professional photography. Most professional photographers offer payment plans and accept all major credit cards as well, making the custom portrait experience more accommodating to different budgets. Should the child come hungry, freshly-nursed, or somewhere in between? Any tips on making that ideal situation work out? What do you do if the child arrives to set too full to nurse on-cue again, or too hungry to relax and feel comfortable? “I recommend following your regular routine and booking your photo session at a time when your child regularly nurses. It’s best if baby is neither full nor super hungry. Hungry babies make grumpy babies, which makes the whole experience unpleasant. Nursing up to one hour before the session is generally a good guideline but we all know that children nurse on demand and not necessarily on a schedule. I have a few babies who have arrived too full to nurse again. When this happens, I usually wait it out and try again and when little one finally nurses, I shoot quickly in order to capture as much as I can. What do you suggest to mothers who want breastfeeding photos but aren’t comfortable showing skin, or are used to covering up? Can they get beautiful shots, too? What do you think about breastfeeding portraits that include siblings or the partner? What tips do you have for a mother with an easily-distracted nursling? Can a mother take breastfeeding portraits if she’s exclusively pumping breast milk but not nursing? What are the advantages/disadvantages of picking a certain age to take these photos? “There is no wrong age to book a breastfeeding session, whether you have just begun your breastfeeding journey with an infant or are at the end of it with a weaning toddler. Each stage is different and deserves to be captured. Walk us through a typical breastfeeding shoot for a younger infant. Now walk us through one with an older infant or toddler — what can we expect? For questions, interest, or to check for availability updates, visit the Whimsy Candids Facebook page or contact Anel here. For inspiration, check out the Whimsy Candids’ standout portfolio or follow a few of her photography boards on Pinterest.